Sunday World columnist and media commentator Fr Brian D’Arcy is reportedly censured by the Holy See’s theological body. SUNDAY WORLD COLUMNIST and well-known broadcaster Fr Brian D’Arcy has reportedly been censured by the Holy See’s main theological watchdog. The Tablet news magazine reports that D’Arcy was censured by the Congregation for the Doctrine of the Faith, the theological watchdog previously headed by the current Pope Benedict. The report, seen by the BBC, suggests D’Arcy’s column for the newspaper is now submitted to “a church censor” before its publication, though none of his columns have yet been edited. The Congregation’s investigation followed an anonymous complaint, and its investigations involved the worldwide superior of the Passionist institute of which D’Arcy is a member. Enniskillen-based D’Arcy has been an outspoken critic of certain parts of Church structures and teachings, including its stance on the use of contraception. His most recent Sunday World column argued the need for the Church to pay heed to the results of a recent survey which showed that the majority of Irish Catholics rejected the Church’s stance on matters such as female ordination and the right of priests to marry. D’Arcy’s censure comes in the same month as the founder of the Association of Catholic Priests, Fr Tony Flannery, was investigated by the Vatican for his liberal views. He had been forced to give up his monthly column in the Redemptorist Reality magazine as a result. Last month a report from an Apostolic Visitation personally appointed by Pope Benedict said it had seen a “certain tendency” within some Irish priests to hold and profess opinions with those of the Magisterium, the Church’s superior teaching authority. The Congregation last week criticised the group representing most of the nuns in the United States, saying nuns were devoting too much time and work to societal and social justice issues, and not enough on religious teaching. 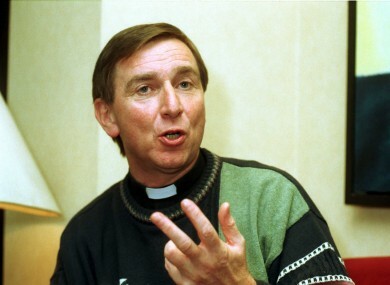 Email “Fr Brian D'Arcy 'censured by Vatican watchdog' - report”. Feedback on “Fr Brian D'Arcy 'censured by Vatican watchdog' - report”.